Kids are full of beans and highly active! As they develop, they learn how to move their bodies, and push them as far as they will go – testing their strengths and limitations. Unfortunately, sometimes they push a little too far, and end up learning the hard way that their bodies can get hurt. Children are vulnerable to specific musculoskeletal injuries – and if those injuries are not adequately managed or treated, they can progressively become worse with age. It is important to quickly address any aches, pains and weaknesses that children may experience early on, to ensure it is corrected while their bodies are still growing and developing. There are many musculoskeletal injuries that can present with children… the most common being sprains, strains, dislocations, misalignments and of course – fractures! But there are other musculoskeletal issues that kids may experience such as Scoliosis, Sever’s disease, Spondylolisthesis and Osgood-Schlatter disease – and these may require specialised care and attention. The most common cause of kid’s injuries is excessive load on the musculoskeletal system. It’s important to note that ‘force’ is initially absorbed by the muscles – before the joints or bones get involved. By addressing muscular issues early, it may help to prevent more serious injury from developing. Clinical Myotherapy is a holistic therapy to address these musculoskeletal overloads in kids and treat their injuries before they get worse. It can help them to recover from an injury they sustained playing sport – or from just generally knocking around, being kids. But most importantly, Myotherapy is a preventative approach to ensure your child is free from biomechanical dysfunction. Biomechanical dysfunction is usually a precursor to most injuries. If your body is compensating in some way or is not able to function optimally, then any additional or repetitive force being transferred through a child’s body will result in an injury to the deeper structures. These deeper injuries may appear as a subluxation, dislocation, fracture, boney growth or inflammation. So how do we prevent this from happening? Ideally, we want to identify any biomechanical issues in our children before they start to develop more serious symptoms. The muscles will always get involved before the bones, joints, discs and nerves. So as parents, if you can recognise the early signs and symptoms that something is not quite right, you can take appropriate action and get it sorted fast. Muscle dysfunction will present with symptoms of fatigue, tightness and pain, respectively. If your child is consistently tired, recovering from activity with discomfort (lasting longer than two days), suffering from cramps or spasms, moving with restriction or avoiding activity due to these limitations, your child is likely suffering from musculoskeletal dysfunction. Clinical Myotherapy can optimise your child’s growth and development by correcting postural dysfunctions as early as possible. Conditions such as torticollis, kyphosis, lordosis, scoliosis, headaches and migraines can all be attributed to postural dysfunction. Clinical Myotherapy at Balance can provide a variety of natural treatment options that are tailored to best suit your child, along with patient education, to ensure that your child is not vulnerable to injury, pain or dysfunction. Glenn from Balance offers postural correction assessments to recognise areas of vulnerability. Glenn can assess your child’s study environment and prescribe exercises to strengthen their core and other postural muscles. 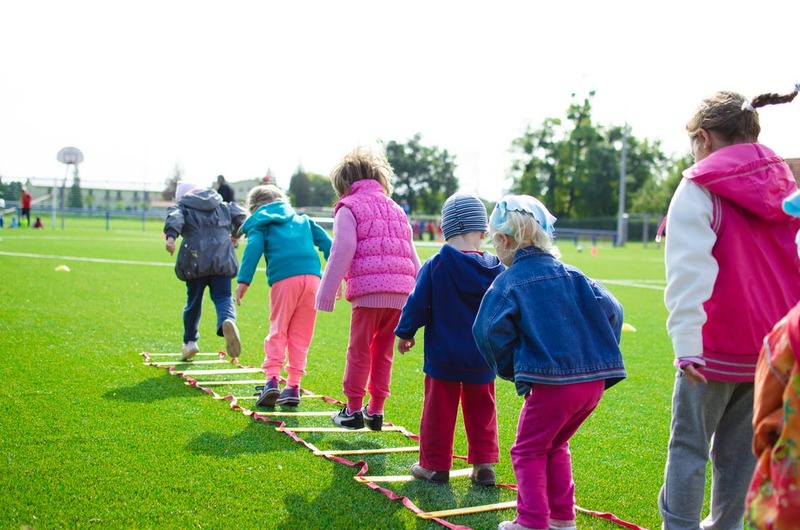 Training programs can be designed that are tailored to your child, not only to prevent injury but also to ensure optimal functioning of your child’s musculoskeletal system. Glenn can design individualised programs to support agility, coordination, balance, power, flexibility, strength, and speed. Clinical Myotherapists are musculoskeletal specialists, who are well equipped to assist children with musculoskeletal dysfunction. Clinical Myotherapists provide natural treatment options and require no doctor’s referral. At Balance, Glenn is our expert Clinical Myotherapist. With 15 years experience, Glenn has extensive knowledge in dealing with children. For more information, or to make an appointment to see Glenn, contact Balance on 03 9585 6635.